WiFi To Smartphone With Amazing 1080p HD Resolution! IP Enabled - Access From Anywhere In The World! Stationary Covert Video Will Never Be The Same Again! The new generation LawMate PV-AC20HDWI is a covert video recording studio built into an AC Adapter that has features nothing else in the market has! With 1080p HD resolution, WiFi enabled as well as IP enabled, it's the ultimate in stationary covert video solutions. With the IP feature you can now remotely control covert video operations to your smartphone or tablet anywhere in the world! With the WiFi feature you can control, view and download covert video evidence to your smartphone. 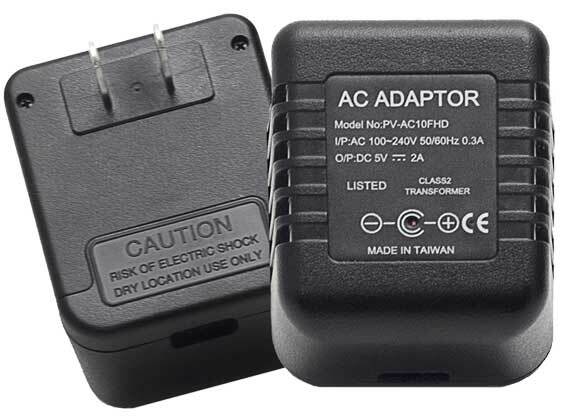 The PV-AC20HDWI appears as a normal AC adapter with a built in DVR and camera. 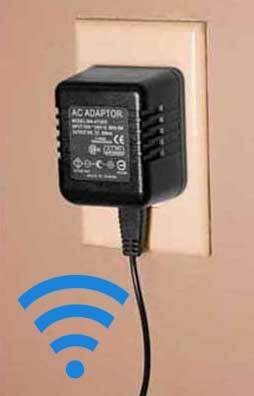 No battery worries as the AC outlet is powered by it's power plug! 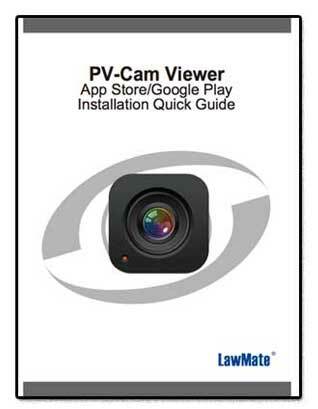 This new generation LawMate innovation will record at 1080p or 720p/WVGA @ 30-fps. You can adjust the resolution you record at! 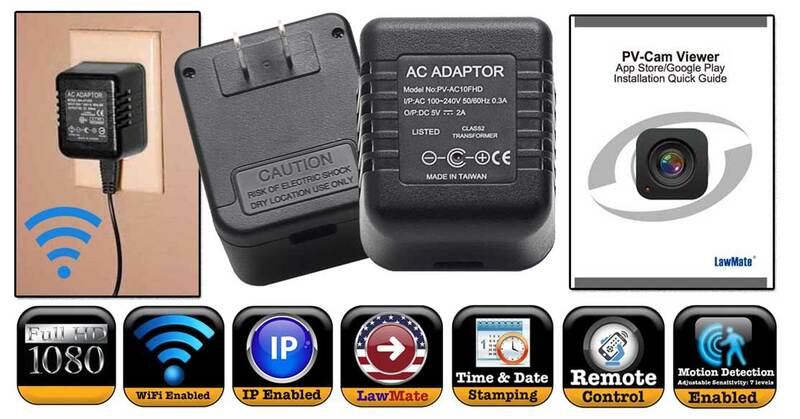 The new generation WiFi enabled Power Adapter Outlet records to are removable micro SD card and supports up to a 32GB card! You can place it and forget the problems associated with other covert video gear with all these new features so be sure to leave your competition in the dust and make sure you have this new generation stationary covert video recorder from LawMate. You'll touch, see, feel and end result the covert video difference! Make your stationary covert video surveillance operation by ordering yours today and be the first to use this new technology from LawMate. We know you will by happy you did! With Lawmate, you will touch, see, feel and end result the difference! 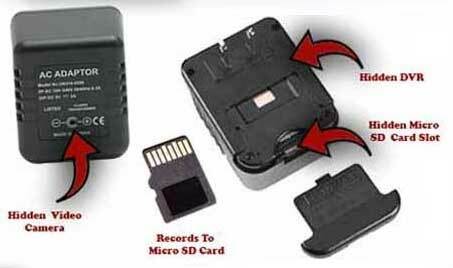 • Takes up to a 32 GB SD card/ 32 Hours Recording time. • Size: 2.51" x 2.04" x 1.96"
New LawMate Technology At It's Best! Remotely Control And View Or Download To Your Smartphone, Tablet, Computer Or Notebook. Watch live as the video evidence is happening! IP enabled lets you view from anywhere in the world! Note: You Can Adjust Resolution And View At Full Computer Screen With Lower Right Icons. Why WiFi? LawMate has perfected the use of WiFi as it relates to covert video operations in an innovative and an advanced manner! Many are shocked that the new generation PV500HDW has no screen. 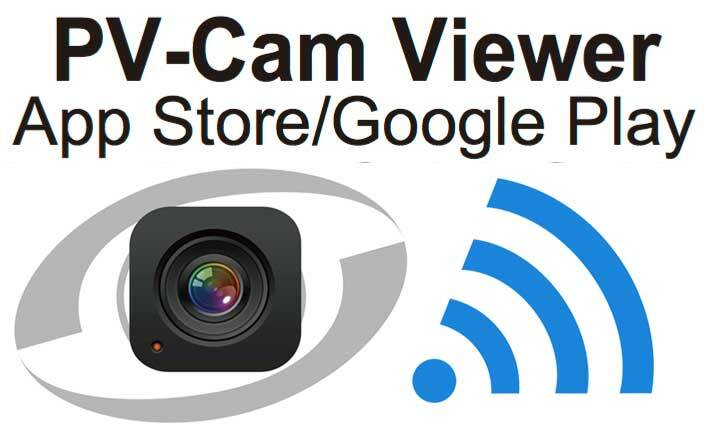 But with advanced technology and the development of a WiFi enabled portable pocket digital video recorder, you can now quickly and easily download and review your covert video on your smartphone or tablet. This not only makes the PV500 lighter and easier to utilize in a covert manner, it's simply the new way to operate! With the introduction of the first WiFi enabled high end pocket covert video DVR, you no longer have to worry about wires and can securely stream your covert video to either a Windows or Apple OS system. Why LawMate? 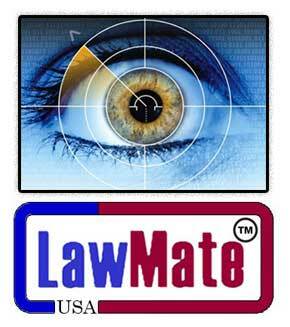 LawMate is known the world over for cutting-edge professional grade technology when it comes to covert video. It has become known as the brand name preferred by professionals in the investigative, security and law enforcement industries. When it comes to covert video operations, LawMate grade lets you touch, see, feel and end result a difference. As LawMate has become the World Wide standard that every one else in the world knows, it's important to keep in mind that it is also the most copied because of it's famous name! There have been considerable illegal bait and switch tactics that have been uncovered over the past few years with cheap and inferior look-a-likes and copy-kats. Make sure you know what you are buying. Chances are great that if it doesn't say LawMate, it's not LawMate. We urge you to stay away from any online or catalog descriptions that describe like products that do not specifically state that they are LawMate grade products. All new LawMate brand and LawMate grade products are shipping in a new black box with LawMate printed in silver. LawMate grade and LawMate brand is also found on the user manual. If you obtain a LawMate product that does not indicate it is LawMate, contact us at once as it's likely a fraudulant product and you have become a another victim of bait and switch activity. Go ahead and make your day and make your next stationary covert video surveillance operation! We assure you you will be happy you did it. You'll be able to touch, feel, see and end result the high end surveillance difference! Not only that, you'll be obtaining the new generation LawMate covert video solution that lets you view and download via WiFi. Do it now and you too will be the first in your area to use this new cutting-edge technology and leave your competition in the dust! products as a LawMate product in all promotional material so the end user is not confused. 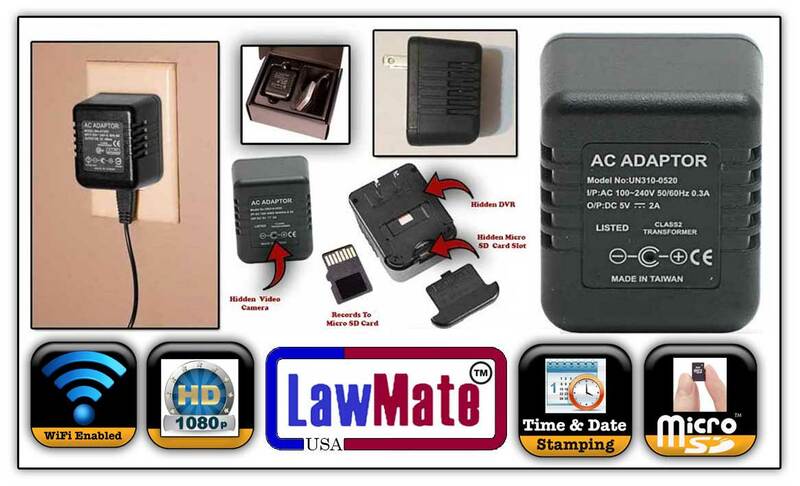 Authorized And Registered LawMate America retailers. For Information On Becoming An Authorized LawMate America Retailer Click Here.